Before buying a health insurance policy (popularly known as mediclaim policy), you should be aware of some basic features like what does the health (or mediclaim) policy cover and what it does not cover? This post tries to provide you a brief but comprehensive overview of the basic features of the coverage provided by various health / mediclaim insurance policies available in India as of now. 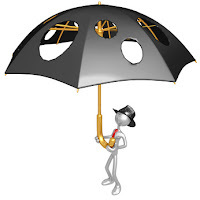 Most insurers have put a maximum cap of Rs 5 lakh on the sum insured except for a few insurance companies such as Apollo DKV, Bajaj Allianz, Cholamandalam MS General Insurance and Star Health and Allied which provide coverage up to Rs ten lakh. Now-a-days, most mediclaim policies come with sub-limits on various expenses like room rent, doctor’s fees, diagnostics etc. For instance, National Insurance Company (NIC) under its Mediclaim Insurance Policy (Individual) has imposed room rent limit of 1 per cent of sum insured per day subject to a maximum of Rs 5000; however, if admitted in ICU the room rent limit is two per cent per day and maximum limit becomes Rs 10,000. Furthermore, the mediclaim policy of NIC also stipulates that total of room, boarding and nursing expenses can’t exceed twenty five per cent (25%) of the sum insured per illness. What are its implications? Put simply, you’re not allowed to claim more than the stipulated amount under any specific head. It also means that you may have to foot the medical bill partly even if the total bill is below the sum insured. For Instance, if your health policy sum insured is Rupees two lakh, room rent expenses will be allowed only to the extent of Rs 2,000 per day (in the above mentioned mediclaim policy of NIC). Any room rent expenses beyond this would have to be borne by you. Usually a minimum hospitalization of 24 hrs is required for filing a claim under mediclaim policies. However, for certain medical treatments (Day Care Treatments) and minor surgeries the limit of 24 hrs hospitalization is waived off. For example, Apollo DKV Easy Health policy covers medical expenses for 140 day care procedures which do not require 24 hours hospitalisation due to technological advancements. Besides hospitalization expenses, most healthcare policies also allow you to claim relevant medical expenses incurred during 30 days prior to hospitalization and 60 days after hospitalization. A few healthcare policies provide wider coverage like Chola Health Insurance Plan covers 60 days prior to hospitalization and 90 days after hospitalization. Domiciliary hospitalization means the medical treatment is done at home for a period exceeding 3 days for any ailment or injury, which otherwise would require hospitalisation, due to either non-availability of accommodation in the hospital / Nursing Home or if the condition of the patient is such that he cannot be moved to a hospital. Only a few insurance companies allow domiciliary hospitalization. For instance, while Reliance Health Care Policy and Apollo DKV Easy Health policy allows domiciliary hospitalisation, Bajaj Allianz, ICICI Lombard and National Insurance Company exclude it from the coverage. Almost all Healthcare or Mediclaim policies carry a waiting period usually of 30 days. Put simply, you can’t make any claim for any diseases contracted within 30 days of buying the health / mediclaim insurance. However, accidental injuries are covered from day one i.e., waiting period is not applicable in case of hospitalization / surgery due to accident. A fresh mediclaim policy doesn’t cover pre-existing diseases. They get covered only if you don’t make any claim for 4 or 5 consecutive years. In other words, pre-existing diseases gets covered usually after 4 or 5 continuous claim free years. For example, while National Mediclaim policy, United India Mediclaim, Apollo DKV Insure Health and Bajaj Allianz Health Guard cover pre-existing diseases after 4 claim free years, Royal Sundaram Alliance Health Shield Standard, ICICI Lombard Comprehensive Health and Bajaj Allianz Insta Insure cover them after 5 claim free years. However, there are exceptions also, for example Reliance Individual Mediclaim (silver plan) and ICICI Lombard Health Advantage Plus covers pre-existing diseases after second year (i.e., from third year onwards), and Apollo DKV Easy Health covers them after a period of 3 years. There are certain diseases which are covered after 1 or 2 years. For example, Medi-Classic Individual Policy from Star Health and Allied Insurance Company Limited excludes Hysterectomy, Hydrocele, Hernia, Piles, Sinusitis, Gall stone and Renal Stone removal / treatment etc during the first year AND also exclude Cataract, Joint Replacement Surgery etc during first two years. In contrast, Mediclaim Insurance Policy from NIC excludes (in addition to other temporary exclusions) all the above ailments (except Joint replacement surgery) during first two years. Besides, it excludes Joint replacement due to degenerative conditions, age related osteoarthritis and osteoporosis during first 4 years of policy. Similarly ICICI Lombard Health Advantage Plus also excludes (in addition to other temporary exclusions) all the above mentioned medical conditions or treatments during first two years. a. Dental treatment except arising out of accidents. d. Naturopathy, alternative medicine/treatments including acupressure and magneto-therapy etc. This is only an indicative list. Further, there are many exceptions to the above list, for example, Medi-Classic Individual Policy from Star Health and Allied Insurance Company Limited allows for treatment under alternative system of medicines (except Naturopathy treatment) but is limited to 25% of the sum Insured, subject to a maximum of Rs 25,000 in the entire policy period. Similarly, ICICI Lombard Health Advantage Plus also allows OPD expenses, dental treatment etc (but subject to limits specified). Medical treatment abroad is also not covered under the health / mediclaim policies. Good article. But hard to derive any conclusion which one to opt for. Should have compared all the plans avialable in India. Over all good information. please give a comparision of good medicjaim schemes to facilitate us taking right decisions. Sir.. Thanks.. I got a good idea about the mediclaim plan after reading this article. Is there any policy which only covers medical bills due to accidents only along with accidental death benefits. The only blog which covers topic so comprehensively that all your doubts are clear!